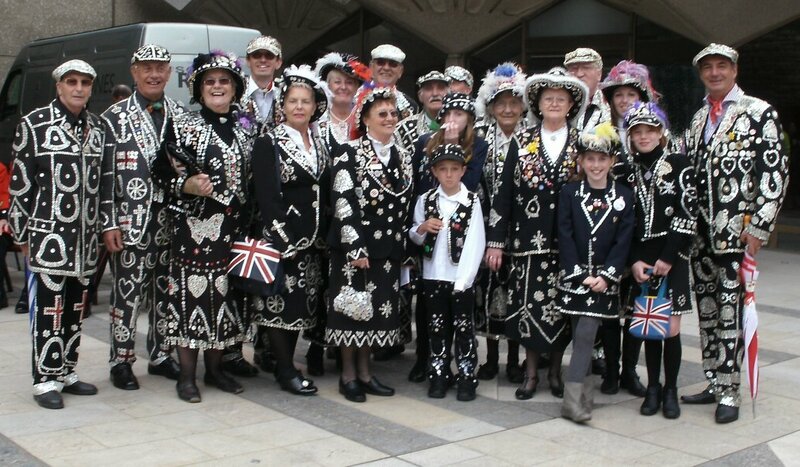 The Pearly King and Queens, often referred to as the second royal family of britain, are an organised charitable tradition of working class culture in London. 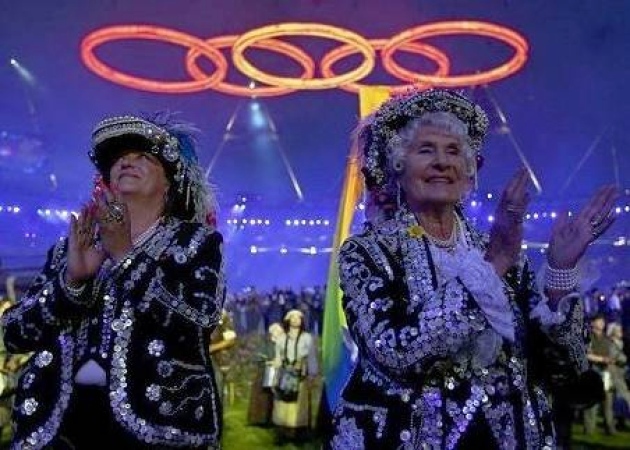 They are so respected here in England that they featured in the 2012 Olympic cermony. 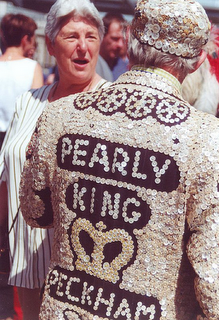 The pearly King and Queens began in 1875 by Henry Croft. His first job was as a Road Sweeper in the market of Somers Town. Henry worked hard in the market and quickly made many friends, he was particularly drawn to the Costermongers (Apple Sellers), who were a tough breed of market traders. He was fascinated by them and got to know more about their way of life, their generosity and their fashion of smoke pearl buttons sewn on the piped seams of their trousers, jackets, waistcoats and caps. This showed their status as they worked the market stalls from day to day. Henry decided he would like to help those who were more unfortunate than himself, including the children back at the orphanage where he had spent his early years. He knew that in order to collect a lot of money he needed to draw attention to himself. So as Henry swept the market streets he started to collect all the pearl buttons he found, that had fallen off of the clothes of people visiting the market, and when he had enough he started to sew them on his cap and then continued until his entire suit was filled, the very first smother suit. Because Henry was an orphan he had no one to help him with his suit so he had to learn how to sew. It was this that started the tradition, which is still carried on by descendants of original Pearly Families, that the Kings do all the designs and sewing, Designs on suits tend to run in families. Henry Croft was in so much demand for his charity work, that he turned to his friends the Costermongers for help and they didn’t let him down. 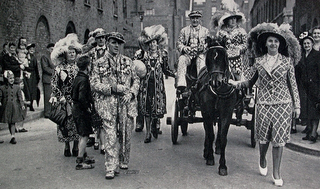 Many of the Costermongers became the first Pearly Families. There were 28 families, one for each of the London boroughs, one for the City of Westminster, and one for the City of London. Each outfit can hold many tens of thousands of buttons on it and can weigh as much as 30 kilogramme’s or more. 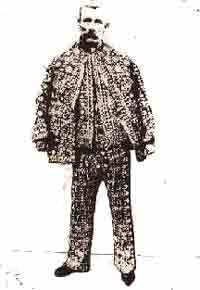 There are two types of suit – a Smother Suit and a Skeleton Suit, the 1st having very little cloth showing and totally covered in buttons, and the latter having far fewer buttons. A great tradition that is still carried on today over a hundred years later. 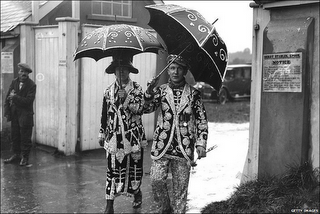 I love the Pearly Kings and Queens and I am fascinated by the history & culture.